Investors should have been dancing on their trading desks after a strong jobs report, but it seems they were sleeping under them instead. The Dow, S&P 500 and Nasdaq all fell modestly Friday. Overall, it's been a quiet start to May for stocks. But even though there was no rally in sight Friday, don't start the weekend on a sour note. Each of the major indexes ended the week up around 1%. And how's this for a "spring seesaw?" It was the ninth straight week that the S&P 500 alternated between weekly gains and losses, according to Ryan Detrick, a strategist at Schaeffer's Investment Research. As for that jobs report, the Labor Department said Friday that the economy added 288,000 jobs in April, far better than the 205,000 jobs economists surveyed by CNNMoney had predicted. The unemployment rate fell to 6.3% in April, down from 6.7% in March and beating the 6.6% forecast expected by economists. The dip in the unemployment rate was mostly due to fewer unemployed people entering the workforce. Still, the number of jobs added was impressive by other measures, with professional services, construction, and the food and beverage sectors showing strength. "All things considered, today's report should be reassuring," said Jim Baird, Chief Investment Officer for Plante Moran Financial Advisors. "It appears that employers have bought into the idea that the weak stretch was weather-driven and would pass with time." 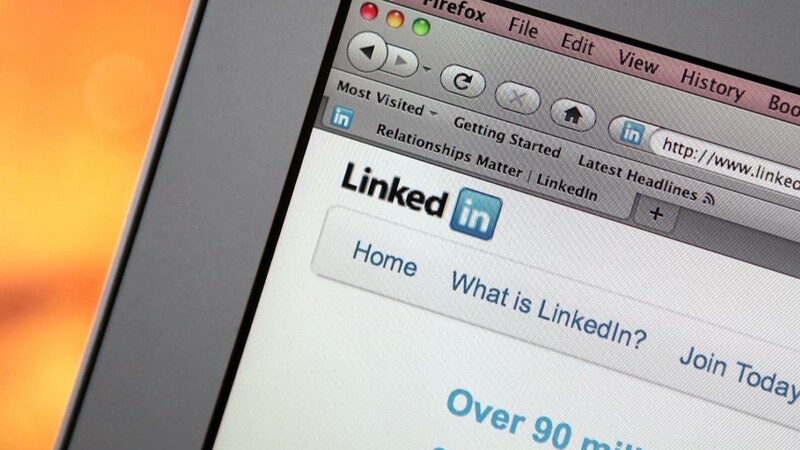 In corporate news, Linkedin (LNKD) beat revenue estimates Thursday, but shares plunged over 8% as investors worried about slowing growth for the career networking site. The stock is down over 31% this year. One StockTwits trader was a fan of Linkedin's product, but questioned its long term plans. "$LNKD I am a recruiter. $LNKD Is an invaluable tool but growth is maxed out in major markets. Till they crack Japan&China, growth will slow," said alchemytrader67. Another StockTwits thought the stock was too expensive at its current price. "$LNKD I can't get past the valuation here," said tickertutor. Shares of Wynn Resorts (WYNN) surged more than 7% after the company received a series of analyst upgrades following its earnings report Thursday that showed an increase in first quarter profit, driven by growth in the Chinese gambling mecca of Macau. "$WYNN how anyone didn't buy this is nuts. macau is flying," said macroQmicro on StockTwits. "$WYNN It falls back to Management. Good Management and knowing how and where to define risk is crucial," said GICfutures. Expedia (EXPE) reported slightly better than expected first quarter results Thursday, but the company's guidance outlook wasn't good enough for some investors, as shares dropped over 3.5% Friday. Retail drugstore chain CVS (CVS) bounced, even though the company's earnings came in short of estimates. Shares of AstraZeneca (AZN) closed flat in London after the company rejected an improved bid for the British company from Pfizer (PFE)worth £50 ($84.47) per share, or $106.4 billion. Pfizer shares slipped in New York trading. 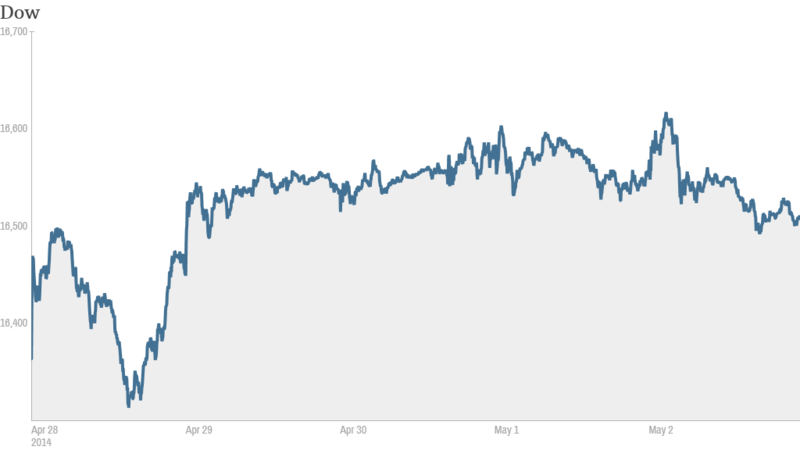 European markets finished mixed, while Asian markets mostly moved forward Friday, but the gains were modest.